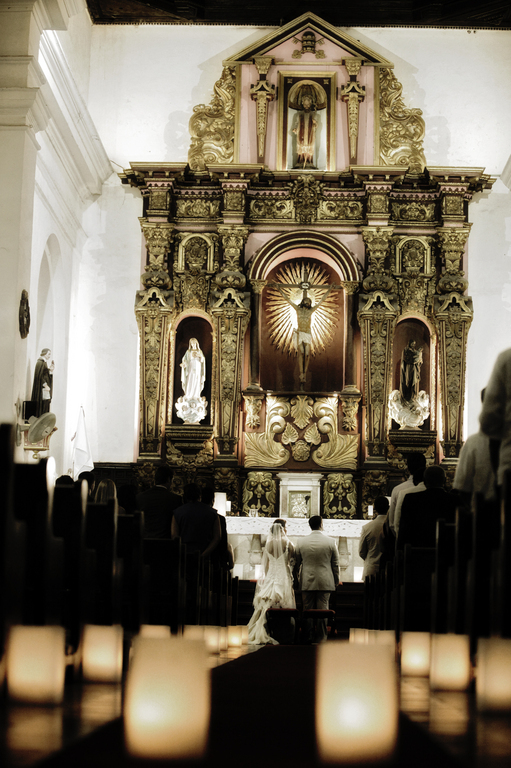 Our wedding in Cartagena-Colombia was AMAZING. Everything was really great and a dream come true but pricey. December was a great month to get married but remember this is high season some hotels and airfares are really expensive. The weather was amazing; the people in the city are wonderful and you get everything you want. 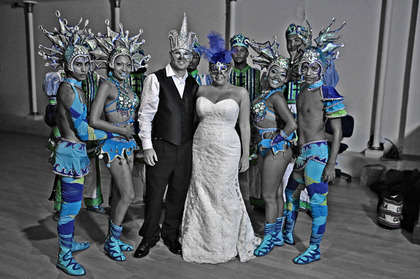 Wedding mapper was the perfect resource web site to know about the city and vendors. We really recommend this website for you and for your guest!!! 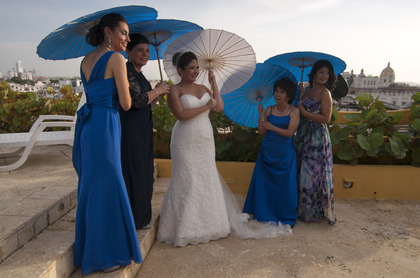 I bought parasols for my wedding pictures and they were stunning. Everybody loved them. For my reception I got personalize napkins and personalize bags for the candy bar. Amazing product. Perfect colors. 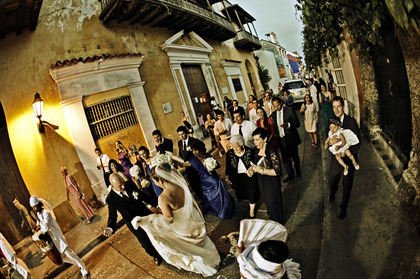 I planned my wedding with Carmen “chiche” for a year ONLINE, I never met her and the whole experience was amazing. My weeding day was perfect. She wasn’t there I never talk to her in person but it was a great perfect wedding. 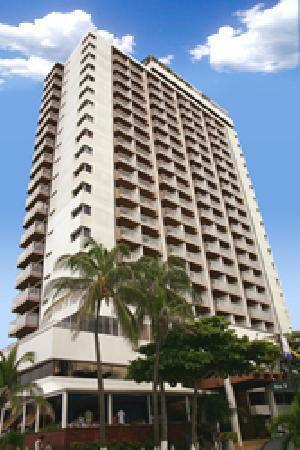 My family and guests were so impressed with the level of service she offers. It was the best money spent! Carmen exceeded our expectations. 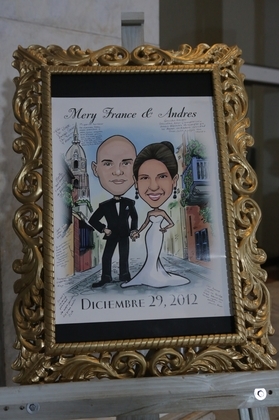 We have the best florist and assistant in the wedding that could someone asked for Andres Cortes. It was an honor worked with him. Chiche’ wedding planner assistant did amazing job as well. Leidis was amazing. She was so responsible and she was aware of all my details that I talked and worked with Chiche. I trusted her completely and she never disappointed me. One more thing, when she said that she will give you the best the Cartagena it is true !!!!!!!!!!! He was amazing. I believed that he really made my day unforgettable. He is pricey but he accommodated his proposal in a way to meet the budget. 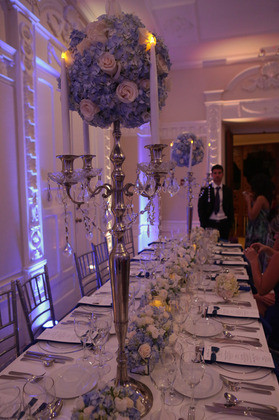 The quality of the flowers was great and the overall result wonderful. He gave me amazing ideas as well as he listen mine. He really knows what it’s the best for weddings. He is very elegant, delicate and works with the best quality of flowers. He was in my wedding day all day with us. We were dancing until 3 am! They were amazing. They provided saxophone’s player for the cocktail hour + DJ and orchestra. They allow my husband and the boys to sing, which it was the best time ever. They played all the music requested. 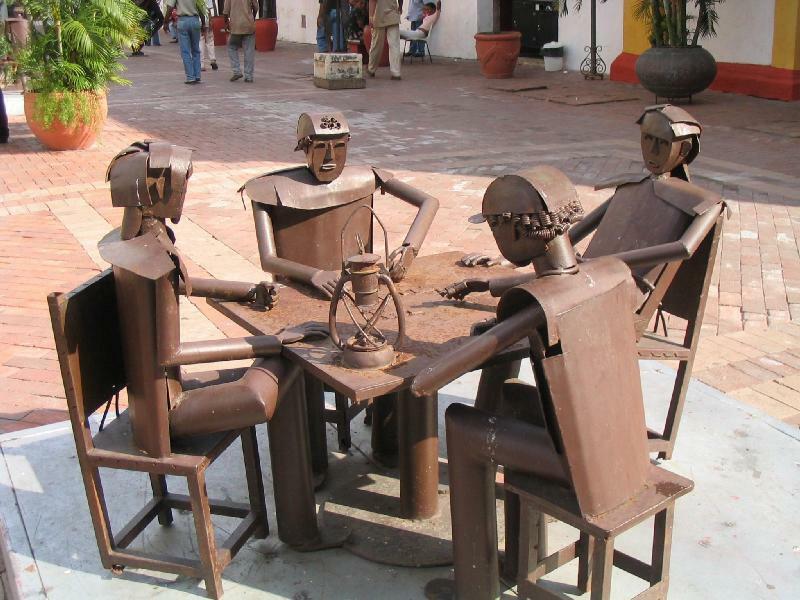 The best cake in Cartagena! Amazing work. everybody asked about the cake!! The music for the ceremony was ok. I had a soprano, and string quartet. The music was a little soft I personally couldn’t hear them. 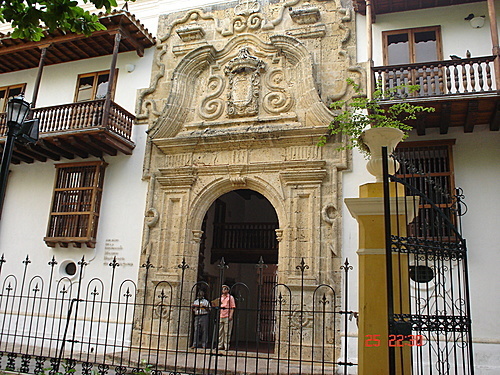 Maybe because in the St. Toribio’s church musicians are located in the second floor. But the quality was ok, and he is a very responsible man who listens to your suggestions and questions. I requested all the music and he was open to include my ideas in his plan. They exceeded our expectations in every way. The chef and Manager of food and beverage’s services were amazing. Glenda (manager) she worked with me in the whole process. I planned my wedding online. 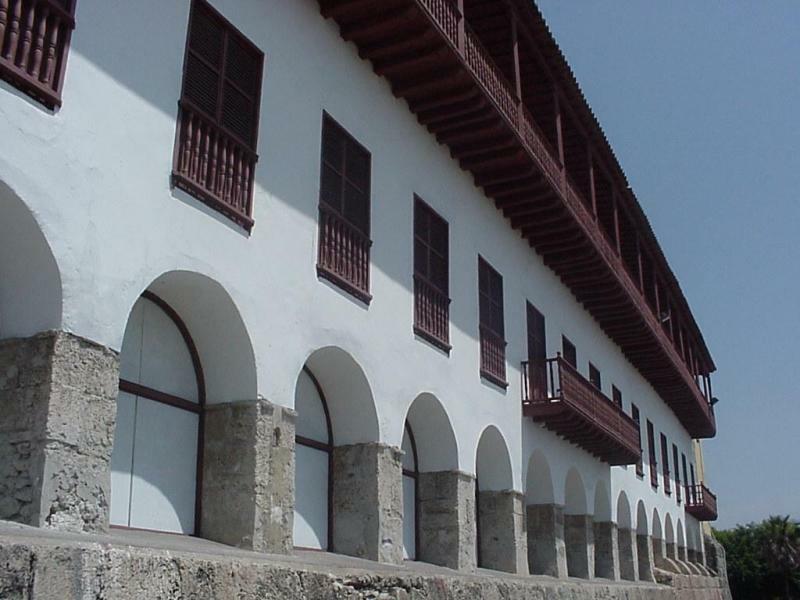 I never went to Cartagena, and they were so responsible in every single way. The day of the tasting everybody was there and they were really amazing in regards my allergies and other people’s request. My husband and I were very pleased with this caterer. They also gave us a complementary room because we ordered with them the food for our wedding. The room was amazing. 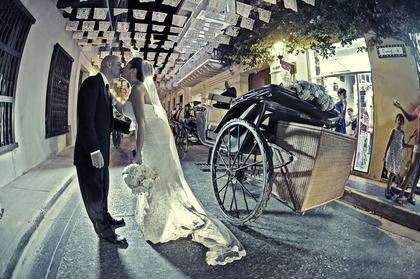 He captures all the details and special moments of our wedding with discretion and professionalism. 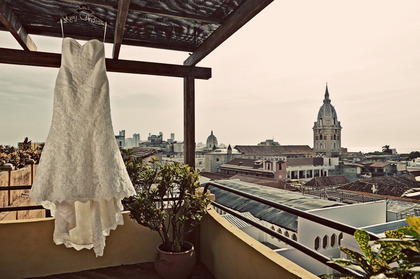 He knows all the amazing places of Cartagena, so we have beautiful pictures in the city. He is very open to suggestions and ideas about what kind of wedding you want and what kind of pictures. Diego and all his team did an amazing job, He is AMAZING. He is am artist. 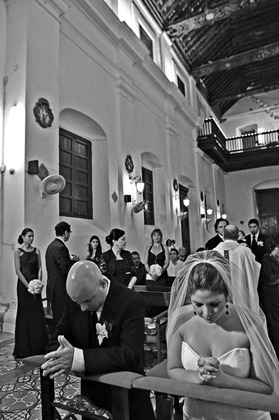 Diego has many years of experience styling brides. I felt like a princess that day and he knew exactly what I wanted and what makeup looked best on me. He's very professional." The artwork in the invitation, and stationary was excellent. 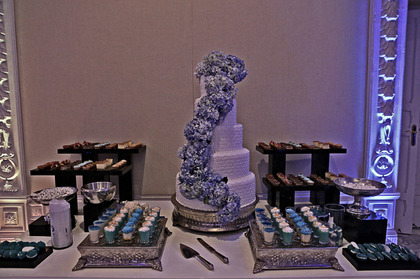 Everybody loved the menu, favor cards, invitations and more!!!! They have no problem with bilingual wording !!!! After the ceremony we were dancing to the reception site. It was amazing !! Beautiful reception site. My wedding was amazing in this place. We had a small wedding, around 40 people and they arrange everything for us. Carmen ( the manager of the theater) is amazing. she worked with me during the process and she was willing to help me with pictures of the site and ideas. AMAZING PLACE TO STAY!!!! it is very familiar place. The reception guys are amazing. every staff of the hotel were unforgettable. My husband and I as well as our family stayed in this hotel and the staff were so gentle with us. 100% recommended!